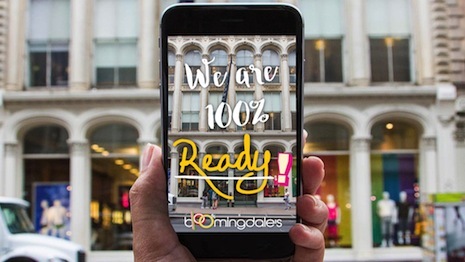 Bloomingdale's is bridging the gap between digital and bricks-and-mortar with an in-store scavenger hunt that leans on Snapchat and geofilters. The department store chain is implementing a fun call-to-action sweepstakes campaign with Snapchat users to celebrate the fall launch of its 100 percent campaign. Through a partnership with artist Greg Lamarche, Bloomingdale’s is bringing graffiti-style flair to its window displays while also inviting users to explore its stores to find hidden filters.